18VDC Multi-stage "smart charge" algorithm is kind to the battery. Switchmode based instead of transformer based make the chargers smaller and lighter as well as being much more energy efficient. 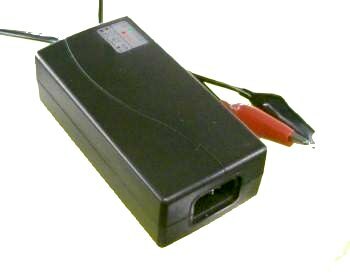 Universal Power Input means that the 18V chargers can be used in any country using anything between 90VAC and 264 VAC. Replaces the mini-moto part number ZED57054U with a higher power charger that is much kinder to the battery. Name 18 Volt charger for lead acid, sealed lead acid, etc. 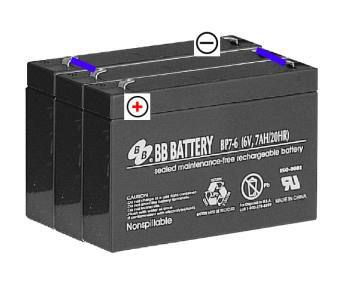 Type Battery Pack Charger for R/C, Robots, ride-on toys, motorcycles, bicycles, scooters and instruments. "Charged" light turns on and float charge starts when the charge current is below 0.20 amps ±0.05 amps when the battery charge voltage is above 21 volts. Output options included Alligator clips or 5.5 mm OD x 2.1 mm ID barrel More barrel connectors available separately, see below Note: The Minimoto uses the unusual configuration of negative center for the barrel connector. Please double check your application.